Lane Bryant carries apparel, active wear, underwear, shoes and accessories for plus size women. The Lane Bryant collection is comfortable, stylish and extremely popular. Shop Lane Bryant's selection online or visit a Lane Bryant store in-person to peruse and try it on before you buy. Coupon Cause carries Lane Bryant coupons that can help you save on your upcoming purchase! Can I pickup my online order in-store at Lane Bryant? Yes. Lane Bryant does offer free ground shipping to a local Lane Bryant store. View Lane Bryant ship to store for more info. Yes. Lane Bryant accepts in-store returns of purchases made online. View the Lane Bryant store return policy for more info. Does Lane Bryant accept PayPal? Yes. Lane Bryant accepts PayPal and major forms of credit at checkout. Does Lane Bryant accept returns? Yes. 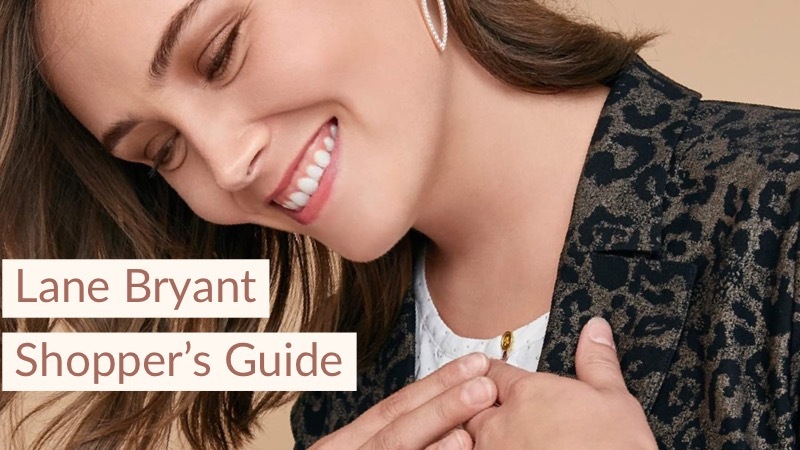 Lane Bryant has a 45-day return policy and a 60-day return policy for purchases made with a Lane Bryant credit card. View the Lane Bryant return policy for further details. Does Lane Bryant have a customer service phone number? Yes. You can reach Lane Bryant customer service by phone at 1 (866) 886-4731. Does Lane Bryant have any physical locations? Yes. Lane Bryant has over 700 locations around the United States! Does Lane Bryant sell gift cards? Yes. Lane Bryant gift cards are available for purchase online or in-stores. Does Lane Bryant sell spanx? Yes. Shop Lane Bryant spanx here. Does Lane Bryant ship internationally? Yes. Lane Bryant will ship internationally, additional charges will apply. View Lane Bryant international shipping for more information. How do I know my size in Lane Bryant? Use the Lane Bryant size chart to find your size before purchasing! Where is Lane Bryant located? Use the Lane Bryant store locator online at LaneBryant.com to find a store near you! Does Lane Bryant do bra fittings? Yes. Lane Bryant offers free in-store bra fittings. You can also use the fit guide to size yourself. Are you happy with the Lane Bryant offers on this page?